God gives more weight to SPEAKING OUT HIS WORD and LESS WEIGHT to believing it. This is clearly evidenced in the opening scripture. We are studying the reason why. The most incredible evidence of the power of speaking is, well, EVERYTHING. That’s how God created the universe: BY SPEAKING! Then God made man in His image. Afterward, God brought every animal to Adam one by one. He didn’t only give all of them their names: THE VARIOUS ANIMALS TOOK ON THE CHARACTERISTICS OF THE NAMES THEY WERE GIVEN AS HE SPOKE OVER EACH ONE. His words had power, just like his Father, God. You and I are made in the exact same image of God. We have the same power of the spoken word that Adam possessed. The word, “Say,” is mentioned three times in the opening verse, but believe is mentioned only once. Whenever the Holy Spirit records something three times, you’d better believe that what follows is of critical importance. 1). Whoever SAYS to this mountain. 2). Believes those things that he SAYS. 3). He will have whatever he SAYS. See? BELIEVE is mentioned only ONCE but SAY is mentioned three times. Are you sensing a pattern here? It’s obvious that the EMPHASIS here is on SAYING, not believing. Yet how many times do we hear sermons based on this verse and the emphasis is on believing? Seems to me that God wants a whole lot more speaking, not that believing plays no part, mind you. The letters, “Bet and Resh,” together [בר] spell “Bar,” which means “Son,” in Aramaic. How do you open the DOOR (dalet) TO THE SON (bar)? You SPEAK! That’s why you say, “AMEN!” to God’s blessings and why you SPEAK God’s word over your situation. David in Psalm 91 wrote, “I will SAY of the LORD, He is my refuge.” Why? Because God becomes to you whatever you “SAY” of Him. If you “SAY” that God gives you sickness to teach you a lesson, even though He does not, then that’s what He is to you, though sickness is never meant to be your heritage. Reading from right to left, at the end of the word, “Imunah,” is the letter, “Hei [ה],” which means, “Grace.” Why does “Hei” mean “Grace?” Follow the link below to read all about it. Ever feel like you’re lost in the wilderness and can’t find your way out? Once again, God hides the secret of how to find your way out of your “Wilderness” in the Hebrew letters. The way out of your wilderness, your “Midbar,” is to open the door (dalet) to the Son (bar). How do you open the door to the Son? You SPEAK–SAY what you want, not what you don’t, and keep on SAYING. But what do we do all too often? We say things like, “I’ll believe it when I see it.” But somehow, we never actually “See” whatever “It” is. That’s exactly the point. We don’t see it because we don’t say it. MAN HAS IT BACKWARDS. Why, if God had used that principle when the earth was without form and void, darkness everywhere, He would have looked around and said “Wow, it’s so dark!” It would have gotten even darker! But that’s not what he did. That is not the way he operates. He always SAYS what he doesn’t see. He SAID, “Light be;” and it was. At the end of each day, He saw what he had SPOKEN into existence; THEN SAID it was good. We, who are made in His image, can do likewise; to call forth those things that are not as though they were. Every time you partake of communion, declare: SPEAK OUT your Covenant with God. 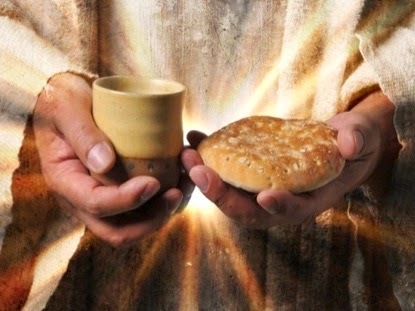 Every time you “eat” the Lord’s supper, SAY “Amen” to His promises. Remember what Adam and Eve did just before the fall? They ATE of the forbidden tree. You could literally say they “ATE” their way into the curse. If they ATE their way into the curse, eating is part of the way back. Just as eating from the wrong tree in the garden brought about the fall, so eating of the Lord’s Supper, the right tree celebrating Jesus, the TREE of LIFE, declares our covenant with God. It affirms we are not under any curse and brings to God’s remembrance what His beloved Son did on our behalf. When you eat of the Lord’s body, you literally eat your way back into wholeness, health, blessings, and every good thing that God has for His children. Because of that covenant, all the promises in the Bible are yours for the taking. NEVER UNDERESTIMATE THE POWER OF COMMUNION. The Gentile woman from Syro-Phonecia who came to Jesus begging Him to deliver her demon-possessed daughter. 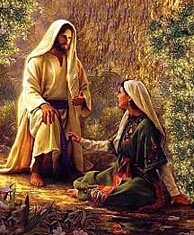 At first, He was not willing to grant her request, saying that the children must first be fed. How amazing that even a tiny crumb of bread taken in the Lords name can do more than the most powerful medicine man could ever invent. A tiny crumb can send the devil packing! Let’s read on and see WHY she got her miracle. She asked and asked and asked and didn’t give up ASKING. Did you see that, Church? Jesus called healing “The Children’s bread.” You and I don’t have to wait for crumbs to fall from the Master’s table: WE ALREADY ARE HIS CHILDREN! We are seated at His table. We are always eligible to eat the Children’s Bread. The Basis Of All Creation Is Light! 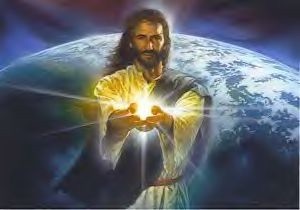 Genesis 1 : 1 says that ” God created the heavens and the earth.” The first words He spoke were “Light be.” He created light before there was anything else, but it was not from the Sun which was created on the 4th day. Scientists actually have discovered that when everything is broken down to it’s minutest particle they are photons which is nothing more than light! How amazing and accurate our Bible is! LIGHT CREATED EVERYTHING! When God’s SPOKEN word comes into your life, it brings LIGHT! The Bible Is Truth, Not Theory. 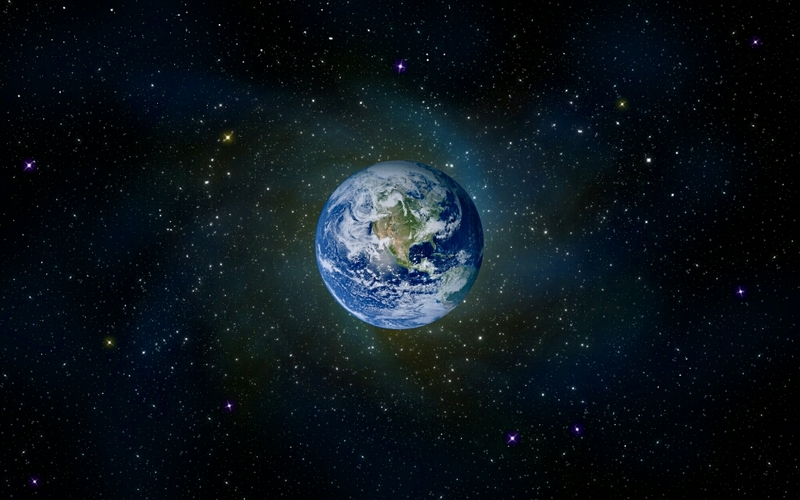 In many respects, scientists are still dealing with theories and speculations. Many things revealed in theh Bible they have still not figured out. There was a time long ago when man thought the moon was larger than the sun because it appears to be. But the Bible says that the sun is the “Greater light” and the moon is the “Lesser light.” Centuries later, what did man “Discover?” That the Bible is right! What it said was, in fact, accurate. God was right all along. Hmmm…..imagine that. The sun only appears to be smaller because it is much farther away. God NEVER plays “Catch up”…..and neither does His word. Man is the one that is always trying catching up to The Bible. Though technically not a book about science, the Bible is the most scientifically accurate book of all. Job is certainly proof of that. Though technically not a book about science, the Bible is the most scientifically accurate book of all. Job is certainly proof of that. Though technically not a book about science, the Gigle is the most scientifically accurate book of all. Job is certainly proof of that, being the oldest book in the Bible. How could he know enough to write such a thing? Did he have a space ship to fly him away from the earth so he could look back and see it hanging on nothing? No, of course not. If he did, he would have seen what our astronauts have seen; that indeed it does look as though the earth is hanging upon nothing. Today, we know that the “Nothing” about which he wrote is the force we call, “Gravity.” But Job couldn’t have know that nor would he have understood any of that. He simply recorded what God told him. So, Church, it stands to reason that the more of God’s word–LIGHT–you get into your life, into your situation or circumstance, the more you can expect it to create your miracle or your answer. Every time you go to church, expect that God’s word will bring that light of creation into your life.His word brings light and life into your Spirit, soul, and body; into your relationships, your family, your work and into your entire life. He can even raise to life that which was formerly life-less! You and I can use our speaking to open the door to the Son or to the devil by what we say. Words have power. So make sure you “Davar: SPEAK” God’s Word! Are you still posting? I hope so, I have really been blessed by them! Wow!!! I’m so glad to hear that! Haven’t written anything new of late. Post most of what I write on several groups on Facebook. Right now we’re getting into the Passover season and I am posting my series on the 5 offerings of Leviticus and Passover series after that. You’re welcome to join any of them if you like. I would like that! I think I found you! Cool! I sent you a friend request. ← Neither Do I Condemn You.